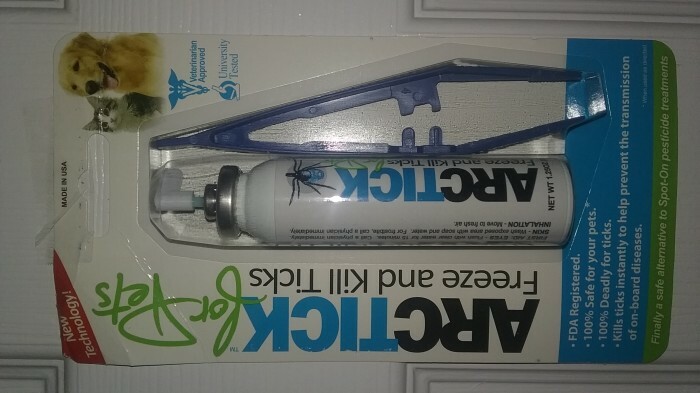 when repellents and spot on products fail to prevent ticks from attaching them selves to you, or your pets, which have serious side effects, my patented product was designed to kill the tick on contact, my product is independently laboratory tested and is 100% safe 100% effective, is environmentally safe, and not flammable, the specially designed valve when depressed, emits a metered amount of material to kill tick on contact. By killing the tick on contact you prevent the tick from regurgitating it's infectious disease which is within the tick's saliva. 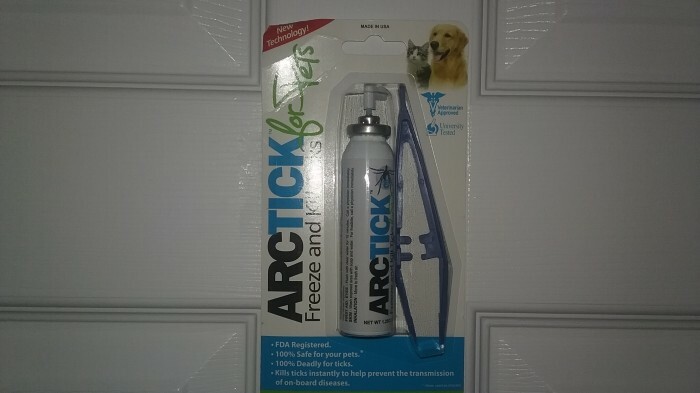 my product was developed to be used when a tick is attached to you or your pet. repellents are not 100% safe or effective, and are to be used whenever you or your pet are enjoying the outdoors, repellents need to be re-applied every two or three hours, and usually have serious side effects. .
market potential for my product in this category according to independent marketing analysis, has been favorable. the cost of my product retail, is less then most repellents, and does not need to be used as often. Kris Kristofferson, just one of many cases reported and many more missed diagnosed for something else. when repellents fail to prevent ticks from attaching to you, family members, or pets, my product is what needs to be in your first aid kit. in the pet industry alone, last year in this category earnings reported were over ( 10 billion dollars ). the industry is in need for a product that works every time, and with no side effects. my product needs advertising and marketing, as the public becomes increasingly more aware of the spread of lyme's disease, over 300.000 cases reported to date, and rising. 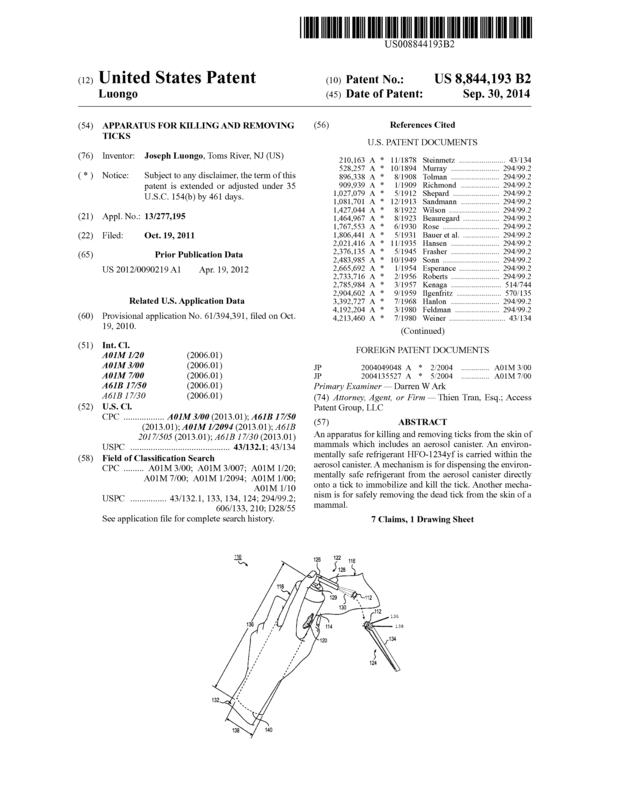 Page created at 2019-04-25 18:00:40, Patent Auction Time.